Let me first state that I’m getting an iPhone 7. I’m going to buy it from Apple. My prior “contract” which I signed when I traded an iPhone 5 for an iPhone 6 expired when I paid this month’s bill and I am off contract. It isn’t that I plan to switch carriers, as Verizon is the only real choice where I’m located. AT&T doesn’t even give one bar inside my home. I want the freedom to decide my own destiny so to speak. Verizon, on the other hand, seems to be using training that requires their store agents to use a sledgehammer approach when customers ask about their options and want to make changes. After waiting for a store rep (busy, longish wait, others were there with the same questions) on Thursday, a rep came over and asked what I wanted. I said, “ I’m going to be buying an iPhone 7 from Apple, not Verizon. 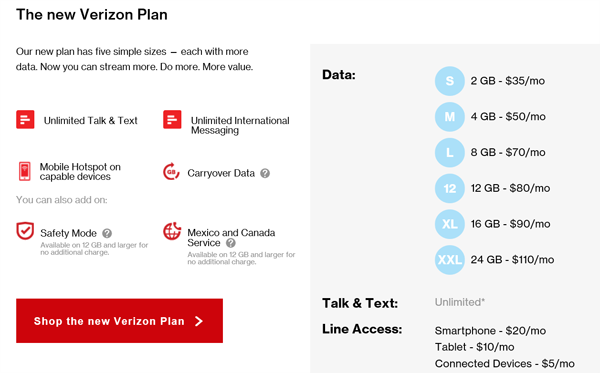 I’m checking to see if there are any hidden charges if I sign up for the “new Verizon Plan” and keep my tablet (already activated) on it and get the iPhone 7 for the Apple Store at the Mall and activate it there and I don’t want a contract with Verizon”. He checked my account and confirmed I was “off contract’’” and launched into a sales pitch for trading my phone (iPhone 6) and getting a free iPhone 7. I said (nicely) “I already told you I wasn’t interested in this trade up two year contract. I want to talk about any hidden charges on the New Verizon Plan”. The rep checks some stuff on his tablet and then says “You can buy the iPhone 7 from us on a device plan for $27.04 a month. It’s not the same as the old contract”. I stood up and said “You aren’t listening to me. I’m not buying a phone from Verizon”. He then decides to tell me “You can trade in your iPhone 6 for a $200 credit that you can apply to accessories”. I tell him that this is just another ‘shell’ for a 24 month contract. He confirms this is true. I want to smack this guy upside the head. I restrain myself. I decide to leave the store and come back the next day. I stand my ground, I tell her I want to switch to the new Verizon Plan. She taps some stuff into her tablet and tells me she can make it effective with my next billing period. She gives me figures. I tell her I’m off contract and it would save me $35 to switch today. She then tells me that THAT would involved a pro-rated bill and that I would have trouble understanding it. I stand up again, and restrain from physical violence and tell her that it is uncalled for to question anyone’s intelligence or math skills and to make the switch or get a manager over that will do it. She tries one more time to sign me up for device payment or a contract. She asks me why I won’t take a contract or buy a phone from VZW or select device payment. And I tell her it is none of her business. She finally sets up the plan I want and pushes the buttons to make it happen. She tells me she is making a note in my account that I probably will be complaining about a pro-rated bill that I don’t understand. Unbelievable. Exhausting.